Through this business, I have realized just how much everyone is connected in Bakersfield and I love it. See, I designed for a wedding last year for clients Elyssa & Carson and it just so happened that Elyssa is friends with Hayley who went to school and church with my brother and I (along with her brother). Hayley contacted me to design for her sister's baby shower and we just got done working with Elyssa designing for Hayley's baby shower because she is expecting too! See what I mean? Haha! 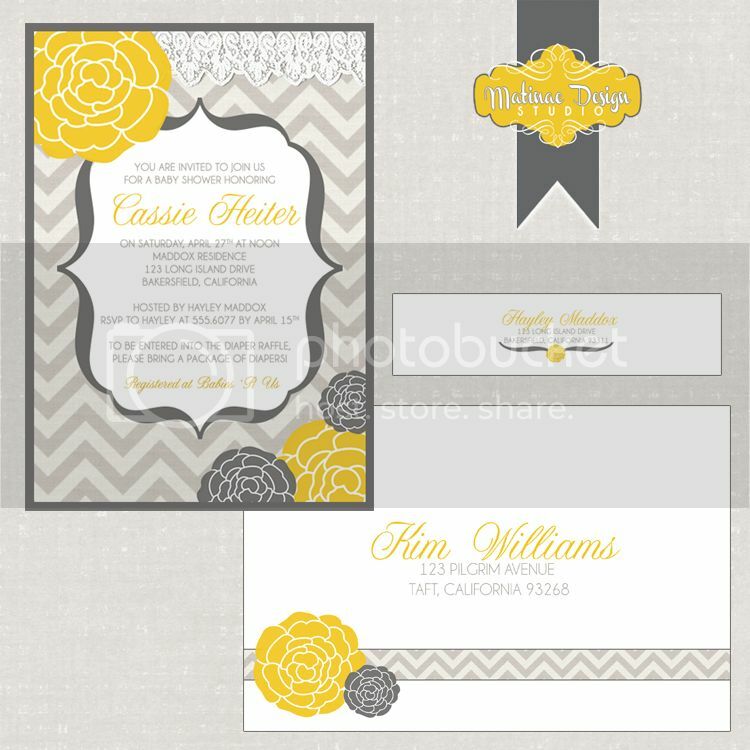 So Hayley contacted me for Cassie's baby shower and mentioned that the color scheme was yellow and gray with flowers, Chevron stripes, and hints of lace! I had so much designing these and love the way they came out. The design was printed on white metallic paper, layered on gray metallic cardstock, and enclosed in a coordinating metallic envelope. Stay tuned for the invitation design we did for Haylee! Wishing a very Happy Mother's Day to all of the mommies out there too! !